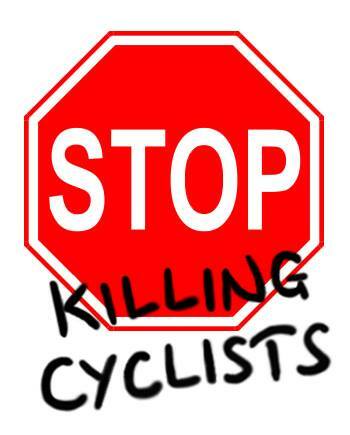 Stop Killing Cyclists was set up after six cyclists were killed in London in November 2013, to carry out direct action in protest against traffic violence. They arranged the mass Die-In at TfL HQ where 1,500 cyclists laid down in the road in protest at lack of safety investment in London, and conduct vigils for to recognise the deaths of people on bicycles in London, calling for improved infrastructure for cyclists. Previous PostStop The Killing Pratt Street ActionNext PostPress Release: HGV drivers responsible for 80% of female cycling fatalities.